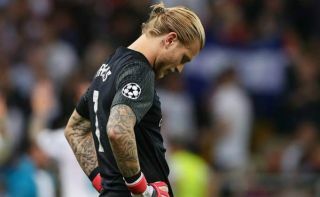 Liverpool goalkeeper Alisson has spoken for the first time about Loris Karius and the mistakes he made in the Champions League final against Real Madrid last season. The German had a nightmare in Kiev, throwing the ball against Karim Benzema for the opening goal in that final, and then dropping a long-range Gareth Bale effort into the net for the third. Jurgen Klopp subsequently moved to sign Alisson from Roma in the summer, while Karius has unsurprisingly left the club, albeit only on loan to Besiktas. The 25-year-old has sympathy from his replacement at Anfield, however, as he told FourFourTwo in an interview that he felt sad to see that happen to him. Alisson even added that he doesn’t celebrate goals for his team if the opposition goalkeeper makes a clanger. ‘Even when my team scores after a big mistake from the opposition keeper, it’s a different feeling for me. I don’t celebrate it like any other goal,’ Alisson told FourFourTwo. All in all, classy words from the Brazil international, who has also been a top performer on the pitch for the Reds since joining the club this season.